Marina Motors are partners with Active Auto Solutions. 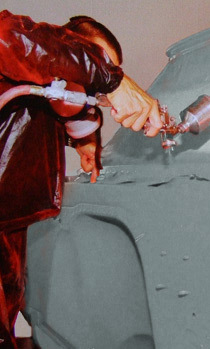 Using our fully equiped body shop and spray booth which means that we can offer a full accident management assistance. 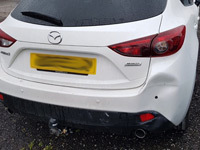 One of our customers was unfortunate to be involved in an incident causing damage to the front bumper and driver's front wing. 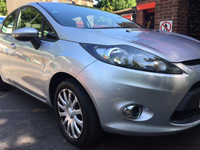 After contacting Marina Motors we were able to assist, repairing the bodywork and returning the vehicle to our customer as good as new. 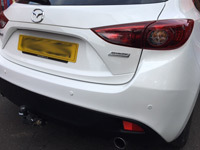 Another of our customers was unfortunate to be involved in an incident causing damage to the rear bumper. 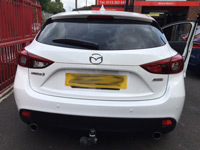 After contacting Marina Motors we were able to assist, repairing the bodywork and returning the vehicle to our customer as good as new. Here you will find more detailed information on Marina Motors. 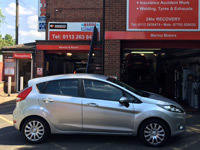 Marina Motors offer MOT's and a wide range of services for all your needs. Please use the link to discover more information. Brakes are among the most important parts of your vehicle. 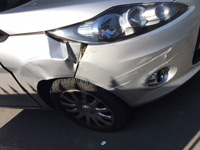 Find out more about braking by following this link. Marina Motors adhere to a defined code of conduct which is committed to bringing you a high quality service. Use this link for details of the code of conduct we adhere to.